The Jezreel Valley in Israel, also known as the Plain of Megiddo or Valley of Megiddo, is a flat, fertile valley just south of the lower Galilee between the Carmel Mountains to the west and the Jordan Valley to the east. In ancient times, many groups fought here for control of the valley, which was a major regional thoroughfare and a coveted piece of land. The Roman Via Maris, an important trade route connecting Mesopotamia (Iraq), Egypt and Asia Minor (Turkey), passed through the valley and crossed the Carmel Mountains to the Mediterranean sea at the Aruna Pass, also known as the Megiddo Pass, controlled by the city of Megiddo. 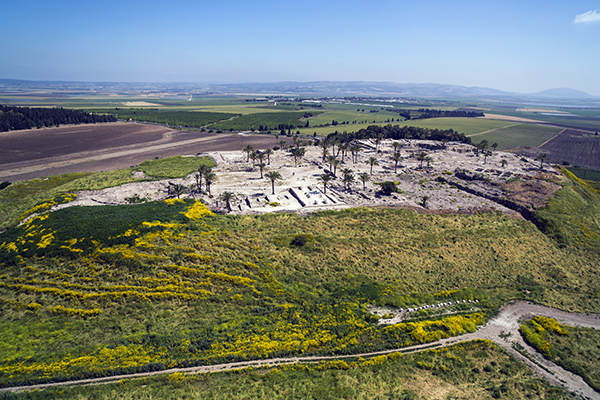 Excavations have uncovered over 20 successive layers of settlement at and around Megiddo dating from the 8th millennium BCE to the 6th century BCE, with significant settlement beginning in the middle of the 5th millennium BCE. The area is rich with biblical sites. In the Hebrew Bible/Old Testament Saul battled the Philistines and died here with his sons (1 Samuel 28:1-31:10), Jezebel had Naboath killed and confiscated his Jezreel Valley vineyard for her husband King Ahab (1 Kings 21-28), at the Harod Spring in the valley, Gideon assembled an army to fight and defeat the Midianites (Judges 7:1-8). In the Christian Bible/New Testament, Megiddo in the Jezreel Valley is the site of the final battle between good and evil. Armageddon = Har Megeddon = the mountain of Megiddo (Revelation 16). 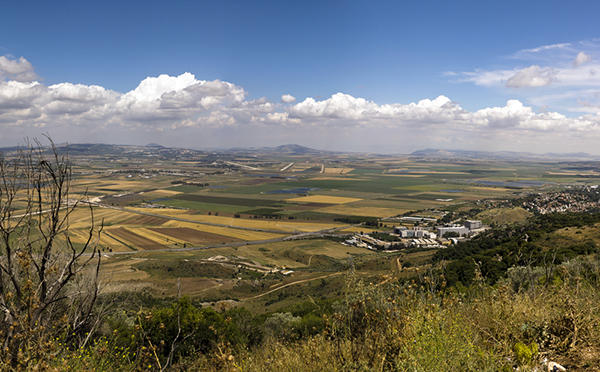 Today, the Jezreel Valley is a major agricultural area. This entry was posted in Bible places, Bible stories, Israel, Stories and tagged carmel mountians, galilee, jezreel valley, jordan valley, plain of megiddo, valley of megiddo, via maris by yalla2013. Bookmark the permalink.